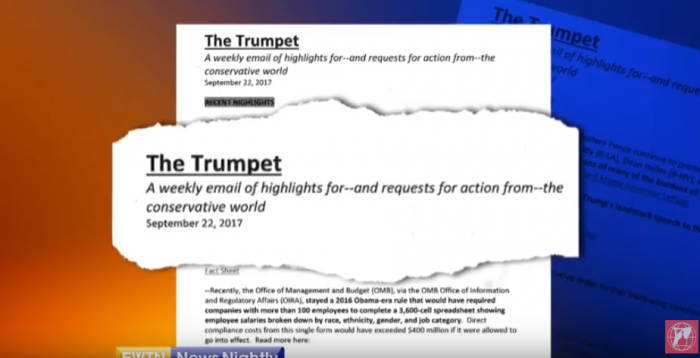 The Catholic television news network EWTN ran two segments on Tuesday about what they described as the “unprecedented” access that social conservative activists have in President Donald Trump’s White House, including the dinner Trump held on Monday night for Religious Right and other conservative leaders. 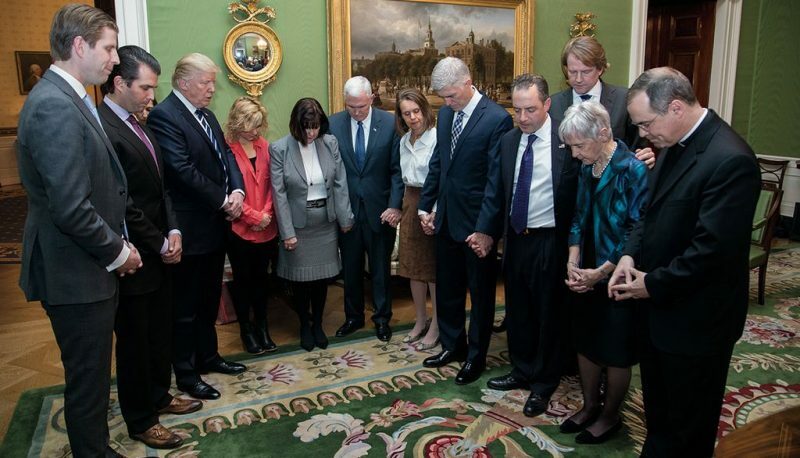 Marjorie Dannenfelser, president of the anti-choice Susan B. Anthony List and one of the conservative leaders who attended Monday’s dinner, told EWTN that the Trump administration had already delivered on several “very successful” items for the Religious Right, including the reinstatement of the Mexico City policy and the nomination of Neil Gorsuch to the Supreme Court. EWTN also spoke with the American Principles Project’s Frank Cannon, Tea Party Patriots’ Jenny Beth Martin and Concerned Women for America’s Penny Nance about their increased influence in the White House.